As strange as it may sound, the more we travel to Disney World the less time we spend worrying about riding attractions. I know that doesn't entirely make sense to many of you reading this but stick with me for minute and I'll explain. Inevitably, Caitlin and I have had the incredible ability to travel to and tour the Disney parks essentially our entire lives. 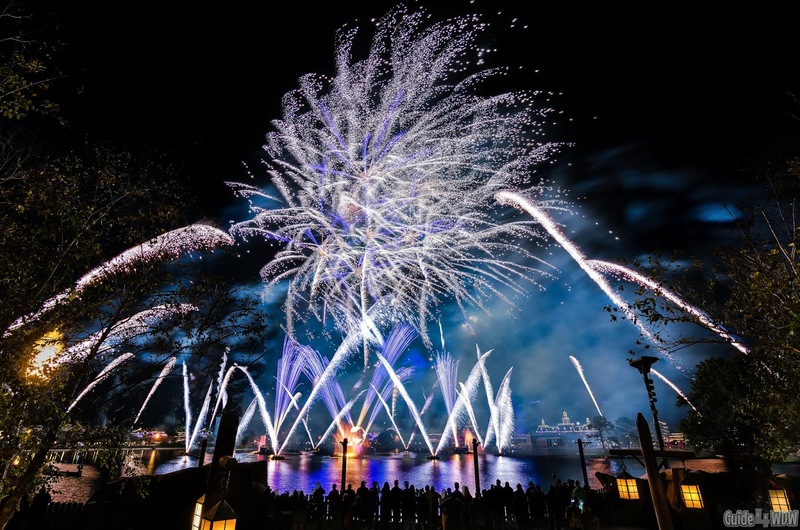 While that is an incredible blessing, and one that I know many of you have in common with us, it's also a strange frame of thought for many first time guests embarking on their first Walt Disney World vacation. You see, for us Disney isn't about the next big thrill coming to the parks but rather uncovering those little details that are hiding in plain site that so many guests entirely overlook. I've said it before, but it's the little things that truly set Walt Disney World apart from all other vacation destinations. From the very beginning, Disney World in Florida was designed to be the vacation kingdom of the world. It was a place with nearly unlimited space, but also was designed in theory to be the end all, be all vacation destination. Of course, there are other destinations around the world that so many people tour time and time again, but none have that same reputation as a place that has ultimately become a "right of passage" as a kid in this modern world. I hate to say that the societal expectation is a good thing, but at the same time I can't say it's a bad thing either. Disney is a rare place where you can experience something, learn pieces of history, and inevitably do so without realizing you're learning in the first place. Now, at this point, you may be wondering what any of this has to do with today's article. I share all of this because to us Disney isn't just about the attractions, or the food, or the incredible array of activities Disney has developed in their "vacation kingdom," but rather the memories this place helps create. Almost by coincidence (okay... maybe it wasn't a coincidence at all), today's list wont mention a single attraction. It won't list the perfect way to ride every attraction in the park in one day, and ultimately it isn't going to be an article that appeals to everyone. My goal here more than anything else, and my goal for anything on this site is to be completely and utterly authentic with you all. I'm not going to tell you something is amazing when it's not and I'm not going to tell how the next latest and greatest attraction will change your life. Instead, I hope to convey one thing and one thing more than anything else and that is that no matter how incredible these parks get, it's the simple moments that stick with you the longest. I know so many of you reading this are skeptical but the other group of you know exactly what I'm trying to convey. If you go to Disney, you'll have a moment and a moment when you least expect that will exceed your wildest expectations. 99% of the time that moment has nothing to do with an attraction but rather the smile on a family members face, a moment that makes you laugh, or simply an interaction you'll never forget with a cast member or even possibly a complete stranger. It's not about the place but rather the people. At its core, Disney isn't a memory generator, but rather a place that helps you create memories of your own. It's the playground and we are the students that populate it. That is what it's all about! So... why do we have a list of "Hidden Spots" to share today. To be quite honest, these are the places that are simple, but at the same time they are the places that can help create memories that you least expect. In all reality, these places may not translate in writing (and that's one of the reason we started our podcast) but if you visit them you'll understand the quiet nature of the locations, the story they tell, or even quite possibly create new memories of your own. Take the time to step away from the attraction "run" and make time for a little bit of magic hiding in plain site. It may not seem ideal at the time but these little tucked away moments and special experiences can help yield the most incredible memories. This "hidden spot" is one that is the near perfect example of a simplistic location that can yield incredible stories. 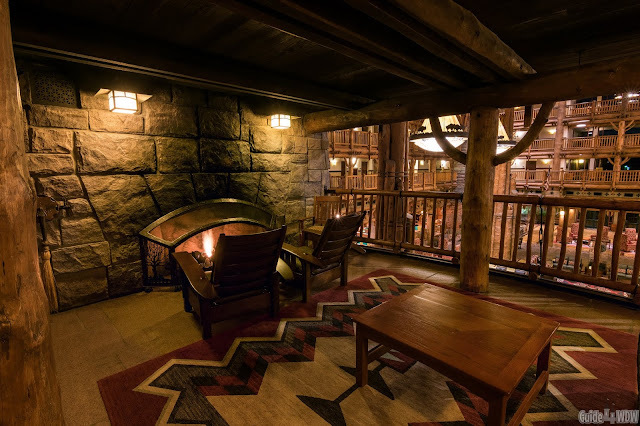 It's no secret that I love Wilderness Lodge and the experience it creates through the vast and intricate theming, but it took me nearly 8 years to uncover this little gem of a hideaway located in plain site. It's so off the radar in fact that I do kind of have trouble spilling the info on how and where to find it (but I'm going to anyway). On the floor above the grand atrium lobby level this little alcove area is quite literally hiding right in front of your eyes. It's not a place you'll simply stumble into in a high traffic area of the resort but rather one that you have to explore a bit to uncover. 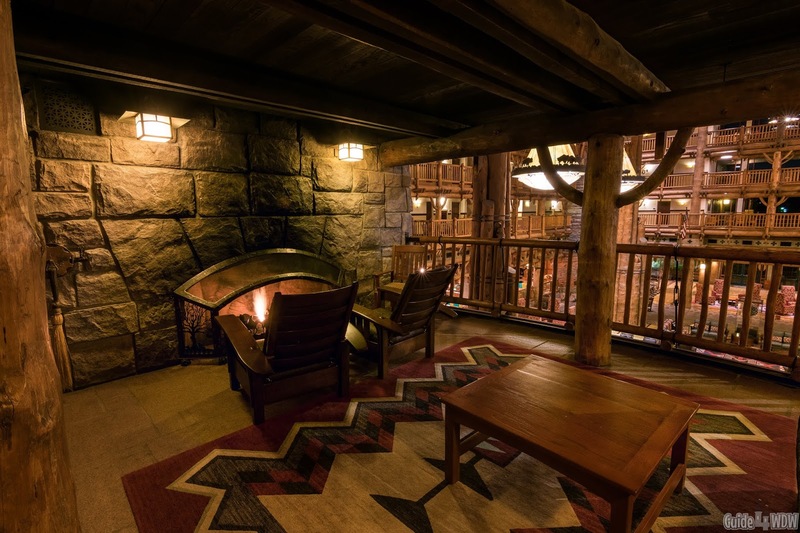 It's not a grand spectacle but rather a quite spot that is a near ideal place to escape for a few minutes after a long day in the parks, a place to sit and do some work (or photo editing in my case), or perhaps a spot to gather with friends to tell stories and enjoy the moment. As you sit in front of the fire (which is far smaller than the one in the lobby below) the worries of the world seem to melt away as you sit in a comfortable chair and the subtle music of the lobby overflows into this quaint space. At its core, it's a feeling that cant be explained in words. Much like the Carolwood Room, this spot will always be a "hidden gem" in my opinion and a spot that consistently exceeds expectations. Moving in an entirely different direction, we have the most overlooked pyrotechnic "secret" of Disney, "the Chimney guy." You may be asking why this makes our list but it's simply because you have to be in the right place at the right time to see it unfold. If you're waiting for Illuminations, or looking for a viewing spot, head to the Canada pavilion. At the top of the main staircase take a step to your right and there will be a chest high rock wall. Not only is it a near perfect spot to view the show, it's also the perfect place to catch this little known Disney secret hiding in plain site. The view of Illuminations certainly speaks for itself in the image below, but the reason this makes our list is because of the "chimney." I know that sounds absurd but stick with me. If you're standing in this spot, turn around and you'll see a small building at the top of the hill. About 3 minutes before showtime, watch the top of that building and what looks like a chimney facade. Minutes before the show a door will open at the top of the "chimney" and a controller for the show with what I assume would be a pyrotechnic specialist background (or at least I hope lol) will pop out, lay out his controls, and remain in that position the entire show. He's wearing all black, is typically wearing what looks like some type of vest with any number of technological devices hooked to him, and truthfully I have no idea what he does. My guess is he controls the show or monitors intently for safety reasons, but I don't entirely know the details of the role. Either way, it's something neat to experience. About 2 minutes after the finale, you'll see him climb down out of the chimney, walk quickly and causally to the front of the pavilion, and then briskly walk around the World Showcase promenade to disappear backstage somewhere. If you time it just right, you can occasionally catch a small crowd that's "in the know" greeting him with high fives and thanks for an awesome show. Typically he just smiles and quickly acknowledges the crowd but it's one of those subtle looks "behind the curtain" at the magic that you'll likely remember visit after visit. 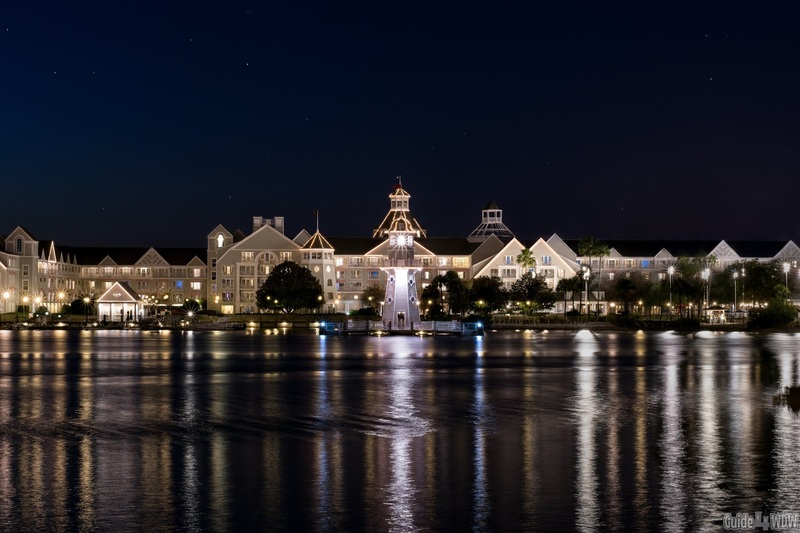 In a similar way to the aforementioned Wilderness Lodge spot, the second floor balconies of the Grand Floridian offer a near ideal escape from the hustle and bustle of your vacation to simply sit back and enjoy the moment. To access this "hidden spot" hiding in plain site, head towards the grand main staircase of the main lobby, walk to the second floor and turn around. As you do you'll see two sections of windows and a balcony on the other side of the windows. Many guests assume the balcony is simply decorative but it is usable and the space is quite large. It's the perfect spot to watch the monorails roll by or a place to enjoy a spring or fall breeze on the days of near perfect weather Florida is known for. Again, it's a vastly simple experience that provides a needed escape from the crowds and it's just a short monorail ride away from Magic Kingdom! The Wyland Gallery is perhaps the least talked about gem of an experience (mostly for adults) anywhere on property. The gallery, which is a true fine art gallery showroom is located over at the Boardwalk resort. It's a fairly inconspicuous storefront behind the surrey bike rental area of the Village Green and near the tunnel to the main pool. It's not heavily Disney themed but rather acts as an incredibly classy art exhibit of sorts that flies under the radar of most guests. It is quite pricey and opposed to the Arribas Brothers style locations, this is far more wall art focused. Personally, I've never bought anything here but it is a beautiful spot to look around and enjoy for a few minutes while enjoying all the Boardwalk has to offer. Even on the most crowded nights down on the water, this hidden gem remains fairly quiet. Nobody is going to try to pressure you into buying a $1,000 piece of art but the staff typically has a certain passion for what they do and are more than happy to explain various things to you about the location and what you're looking at in the moment. If you've never visited the gallery, certainly add it to your list! As perhaps the most mainstream item on the list, I have to say the beaches surrounding the Yacht and Beach Club are perhaps one of the most under appreciated gems of Walt Disney World. Sure, they're not an ideal place to watch fireworks like the beaches of the Polynesian but at the same time they are home to one of the most incredible nightly views in all of Disney property. 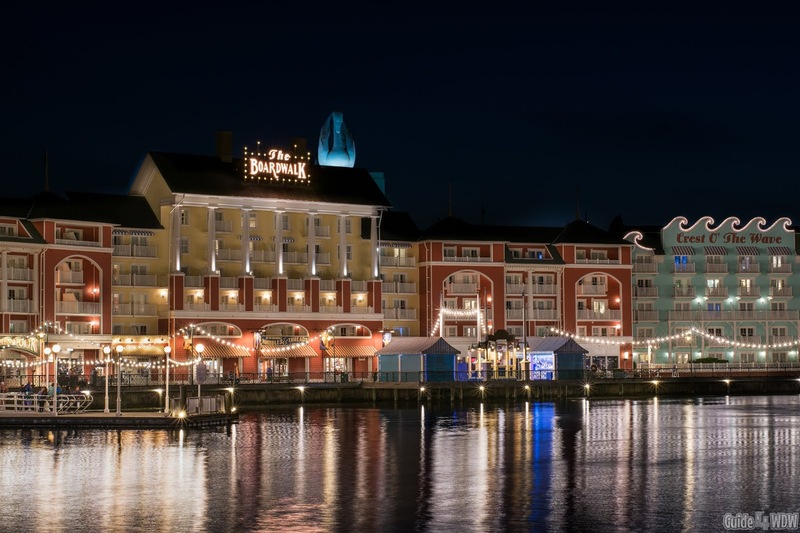 From the glimmering water to the Boardwalk lights, this is without a doubt one of the most picturesque resort offerings you'll find anywhere in the country. If you are looking for fireworks viewing, you can catch glimpses of certain Hollywood Studios shows and even subtle glimpses of Illuminations if you time it right. The greatest key to this is the fact that the adults can relax in a swing or lounge chair while your kids head to the pool, roast marshmallows around a fire pit, or even play in the sand near by. It's a large open area and truthfully one that very few take the time to appreciate. Chances are you'll be the only one on the beach (with the exception of a special event) and it is perhaps one of my favorite places in all of Walt Disney World. Part of that is because this area is a photographers dream, but another part is that it creates a unique feeling being there in the moment that is indescribable in words. As with many of the items on our list, you truly have to witness it in person to fully understand it! 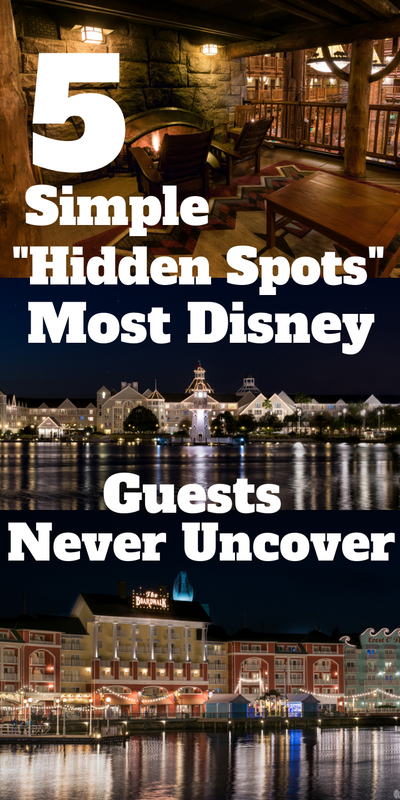 If we missed your favorite "hidden spot" be sure to contact us via email at guide4wdw@gmail.com or reach out to us in the comments on your favorite social media platform! This is far from an all inclusive list and more than anything we appreciate you taking the time out of your day to spend a few moments here with us! Have an incredible day wherever you are and we hope to meet you in the parks one day!